Communication networks is an exciting area that is developing very rapidly and getting a lot of attention from scientists and the academic community. However, what is more important is the fact that private companies and private/public institutions give an enormous importance to their computer network infrastructure, due to the reason that today nothing can be done without data communication. Consequently, any communication network should have security mechanisms that ensure protection against data theft, data loss, information leak and any kind of intrusion that aims at breaking through and tampering with confidential and copyrighted material. 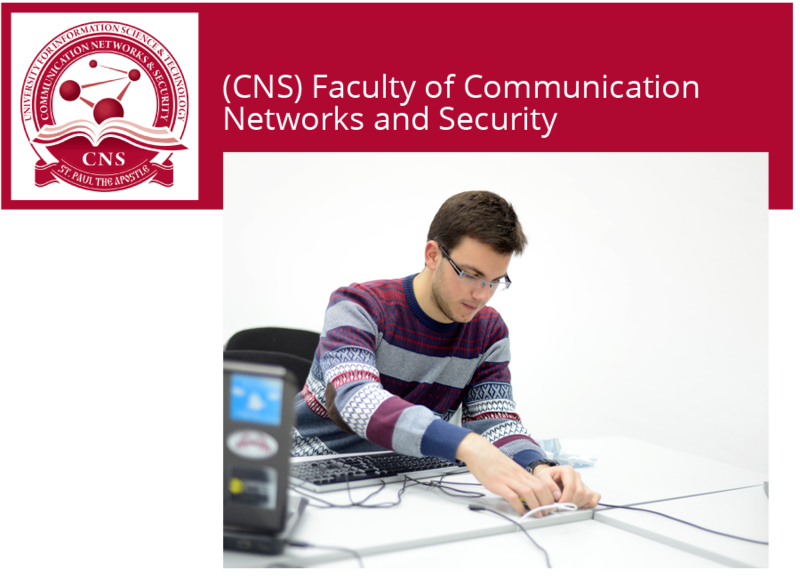 If you are interested in the field of computer networks, networks security, wireless technology, or cryptography, choose the faculty of Communication Networks and Security. The core courses of this faculty aim at providing knowledge and skills in basic computer science and basic networking. These are followed by courses that focus on more specific networking and on fields such as wireless communication, network programming, security, testing etc. Hands-on lab assignments and applications are important parts of these courses. In addition, we also encourage and assist students in getting practical experience in companies so they get a hands-on experience of real-life situations and problems in communication networks, security issues etc. The faculty of Communication Networks and Security will teach you everything about computer networks, their organization and function, as well as methods for information transfer security. Considering the fact that every computer system requires a continuous maintenance and faces various security problems, you are challenged to solve them with the skills that you will get at this faculty. The faculty of Communication Networks and Security aims at producing highly educated, skilled and prepared professionals who will be able to cope with any local or international environment, be it a private company, an institution or the academia. By graduating from this faculty, you get a degree in the field of Computer Networks and Security according to your chosen length of studies. Having obtained that knowledge and degree you are able to address the challenge of designing, setting up and maintaining computer networks in companies or banking systems; you are able to work for security agencies, or develop your own network security methods. Advanced IT job positions or further advanced studies are awaiting you after graduation. Here you can see a list of the most preeminent job profiles: Cloud Application Developer, Java Developer, NET Developer, Security Analyst, Ethical Hacker, Chief Information Security Officer, Network Engineer, Network Technical Analyst, Network Infrastructure Analyst, Systems Administrator, Network and IT Systems Manager, Computer Software Engineer, Database Developer, Games Programmer. The market does need your skills. Don’t miss the opportunity. The University of Information Science and Technology “St. Paul the Apostle” offers the next types of degree programs. After completion of 3 years of studies, with at least 180 ECTS credits, students will get a degree of Bachelor of Engineering in Information Science and Technology in the field of Communication Networks and Security. After completion of 4 years of studies, with at least 240 ECTS credits, students will get a degree of Bachelor of Science in Information Science and Technology in the field of Communication Networks and Security.